Hillary Clinton opened the Benghazi Select Committee hearing on Thursday by offering a serious posture aiming to honor the American intelligence officials who were killed during the Benghazi, Libya terrorist attack on September 11, 2012. “I’m here to honor the service of those four men,” Clinton said. The former Secretary of State spoke after Democratic Congressman Elijah Cummings went off on Committee Chairman Trey Gowdy for what he perceived as the politicizing of the Benghazi committee. 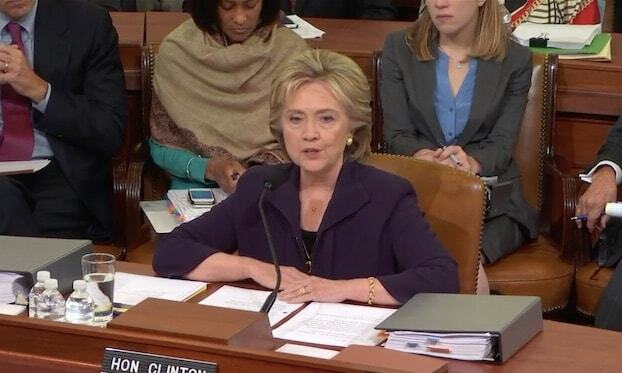 Clinton is currently fielding the first question from committee members. The committee and hearing has served as a polarizing force hanging over the 2016 campaign as conservative media points blame at Clinton for the attack at the Benghazi, Libya consulate that killed four American officials, including Ambassador Chris Stevens.